All the campsites within your reach! and we tranfer and set up the caravan. Small family campsite with excellent hospitality and very shaded pitches. 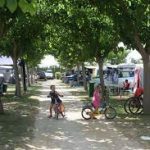 Family campsite with around 600 pitches, 200 m from the beach and only 5 minutes by bike from the centre of Empuriabrava. 90% of the pitches has direct water connection. 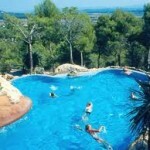 Large pool of 1000 m2. New children’s playground. Well maintained campsite, the pitches are partially separated by hedges and trees. 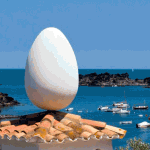 Located in the Bay of Roses, it can be accessed from Castelló d’ Empúries or Sant Pere Pescador. 3 Km from the beach. Family campsite with 500 pitches and well maintained installations. 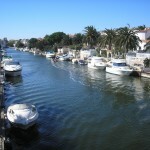 Next to the beach between the river Muga and Empuriabrava. 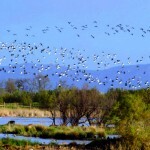 It is characterized by its two lakes and situated next to an ecological paradise, nature park Aiguamolls de l’Empordà. 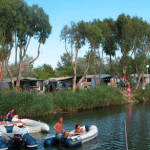 Campsite Nautic Almata is located in the nature park “Los Aiguamolls de l’Empordà” on a long sandy beach. 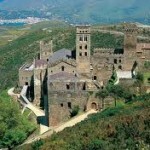 It has canals which allows direct access to the sea for boats coming from the campsite. Small family campsite on an exceptional location.Situated on the most spectacular beach of the Gulf of Roses: with golden dunes and warm and transparent water. Very shaded pitches. 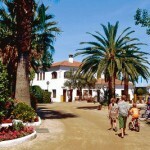 Las Palmeras is a small campsite, quiet and very comfortable. Beautifully maintained facilities, the campsite has everything you need for a pleasant stay. Excellent restaurant, heated pool, children’s entertainment, wifi and gym. 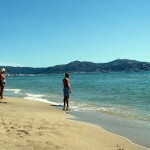 Great campsite in the middle of the bay of Roses, with direct beach access. Facilities and service are guaranteed first class. 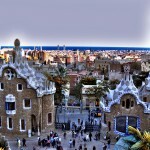 A unique surrounding for your holiday: sea, nature and culture. 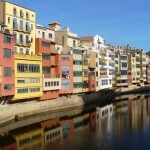 A Paradise for children … and their parents! 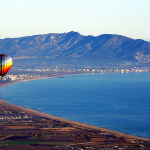 Located in Sant Pere Pescador, has a long and wide beach in a nature reserve, is the ideal place to enjoy your vacation. Here you will always find a quiet spot on the beach, even in summer. 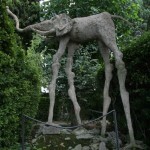 The entertainment program with activities for adults and children. 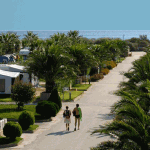 Very large family campsite situated on the beach of Sant Pere Pescador, it is a first class campsite which has not only a wonderful beach but also excellent facilities. 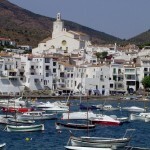 Next to the campsite is one of the largest soundproofed discotheque on the Costa Brava. 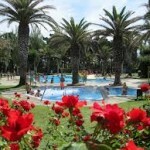 Camping Ballena Alegre is a large campsite on the seafront and has a long sandy beach. 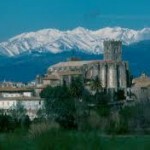 Only 1 km from the picturesque village Sant Martí de Empúries with its Greek-Roman ruins. 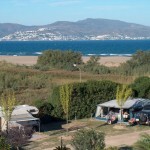 Family campsite situated 100 meters from the village and 1.5 km from the beach of St. Pere Pescador, famous for kitesurfing. 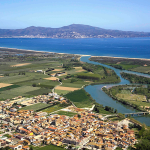 It has direct access to the bike path that reaches the beach and is protected by the Nature Park Marismas del Empordà, runs along the river Fluvià. 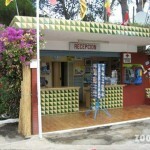 Provides 2 types of pitches, bungalows/mobihomes and glampings. It has a pier and offers rental kayaks and paddle-surf. 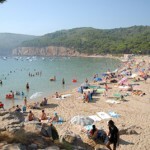 Small campsite situated in a pine forest in the centre of L’Escala, very near the sea. Cosy atmosphere and they treat you as one of the family. 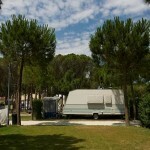 Very small family campsite located in a pine forest near the beach of Riells. Medium sized campsite but with all the facilities of a first class campsite. 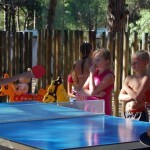 Shaded pitches, family atmosphere, situated in a pine forest near the beach of Cala Montgo, one of the most beautiful coves on the Costa Brava. 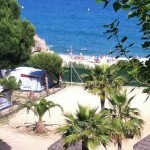 Campsite located among pine forests near Cala Montgó, calm beach with clear water near the fishing village of L’Escala. 850 m from Cala Montgo, surrounded by a pine forest which is typical of the Mediterranean climate: the perfect place to relax and enjoy your holiday. Small, quiet family campsite. 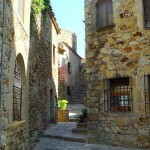 It is located 1 km from the beach and the village of L’Estartit, next to the natural park of “Montgrí”: the area of the river “Ter” has ideal cycling routes.The massif of “Montgri” offers many hiking routes and together with the islands “Les Medes” they are one of the most valued and most beautiful landscapes of the Mediterranean. 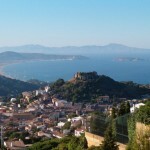 2 km from the center of L’Estartit, 800 meters from the beach, surrounded by fields and situated in front of the natural reserve of the Medes Islands. 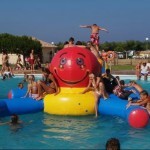 Friendly treatment, playground, watersports, biclycle rental, and a wide animation programme for all ages. 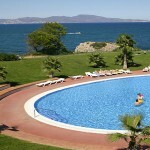 To relax there is a heated swimmingpool , solarium and sauna. Open all year. 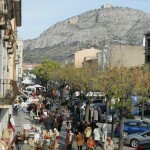 Great family campsite, of recognized prestige, which is situated at the foot of the Rocamaura mountain. 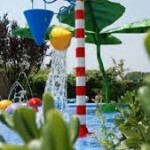 It has 3 swimming pools and a wide range of activities for all ages. 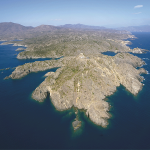 Located just in front of the beach of Pals and next to the natural reserve of Basses d’ Coll. 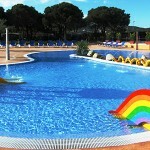 Campsite Playa Brava has first class services and facilities. Discover a unique destination where you can enjoy an unforgettable family holiday. A campsite with personality and charm in the middle of nature. 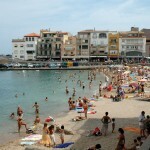 Located in the center of the Costa Brava, Platja D’Aro and Palamós, next to the most picturesque beaches. 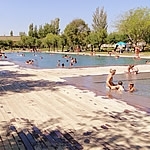 Campsite at cosy beach, with magnificent pitches, spacious first class facilities, entertainment for children and adults, three swimming pools, free Wi-Fi zone. 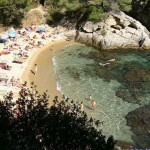 Campsite located 300 meters from the quiet coves of Sant Antoni de Calonge and 4 km from the resort of Platja d’Aro. Luxury amenities, 2 pools with Spa and Jacuzzi, tennis, paddle, basketball, football, volleyball, table tennis, mini-golf, playgrounds, daytime and evening entertainment during July and August. 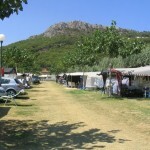 Campsite is between the blue sea and the green mountains and valleys, near a long sandy beach and a town center with plenty of shops. Perfect family choice in an atmosphere of relaxation and movement, light and color. The campsite is flat and with a lot of shade. 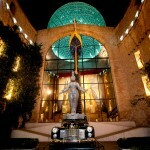 It has excellent facilities, swimming pool with jacuzzi and gardens with many flowers. Ideal for hiking and cycling. 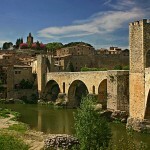 We transfer and set up the caravan on the campsite of your choice. Fully equipped caravans. The day of your arrival we set up your caravan with all the accessories. The day of your departure we take everything down and collect it. Tour caravans, revised and ready to be picked up directly at Caravan INN and you can start your journey inmediately.